Preheat oven at 200°C (400°F). Place figs skin side down on a greased roasting tray. 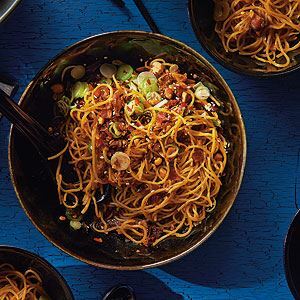 Sprinkle with honey and a drizzle with olive oil and cook for 6–8 minutes. Remove from oven and place figs on a plate. In a bowl, mix the salad leaves with oil, vinegar and walnuts (save a few for garnish) and season to taste. Place slices of grilled ciabatta on a plate. 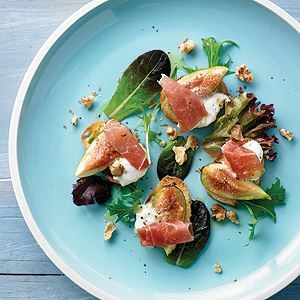 Add a little salad, figs, burrata and finally the prosciutto. Add a drizzle of olive oil some cracked pepper, a sprinkling of walnuts and serve. 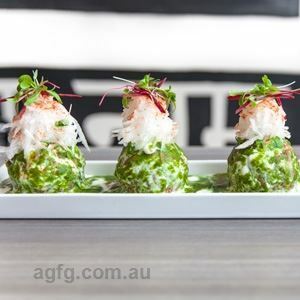 Credits: Recipes and images from Luca's Seasonal Journey by Luca Ciano, published by New Holland Publishers, RRP $49.99. 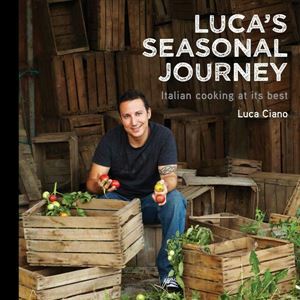 Photo Credits: Recipes and images from Luca's Seasonal Journey by Luca Ciano, published by New Holland Publishers, RRP $49.99. 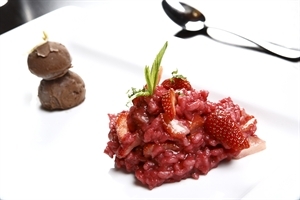 A sweet, decadent strawberry risotto, best served with a rich double chocolate chip ice cream.